POWERHOME Solar uses SolarEdge-brand inverters for the solar panels it installs. Think of the inverter as the brain, or director, of your solar system. It converts the direct current voltage produced by your panels and converts it into alternating current electricity that’s used by your home. The inverter is mounted on the side of your home, where your other metering equipment is, and comes with a digital panel that allows you to check your production. To an untrained observer, you may wonder, what the heck am I looking at? And if you don’t have a member of the POWERHOME installation team nearby, the owners’ manual for the inverter may be less than clear. So let’s break down that front panel with easily-digestible terms. We’ll go from left to right, then top to bottom, like you’re reading from a book. Vac [V]: 246.8. The Vac is the alternating current (AC) voltage on your main electricity line. That number will always be around 240, because that’s the standard service voltage provided for homes. When your inverter converts the DC electricity into AC, it matches that voltage when pushing excess power back to the grid. Vdc [V]: 392.3. The Vdc is the DC current voltage produced by your panels. If we were to compare electricity to water running through a pipe, voltage is the amount of water pressure inside the pipe. How quickly the electricity flows through the pipe depends on the amount of wattage produced by your panels. Your inverter takes this DC electricity and converts it to AC. Pac [W]: 5611.4. This is the amount of power your panels are generating in watts. You can tell that it must be a beautiful sunny day, because the wattage is quite high for 22, 295-watt panels. P_OK: 022/022. 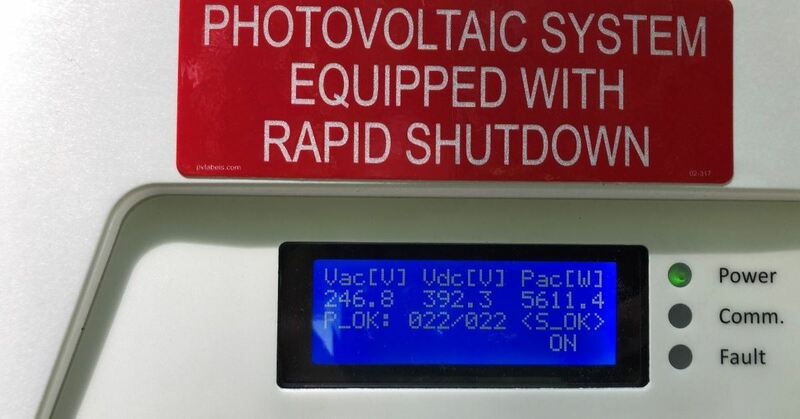 This means that your inverter is communicating with all 22 panels installed as part of your array. If that first number shows something less than 22 (or whatever total number of panels you have), there may be something amiss. When your panels begin producing in the morning, it may take a few minutes for all the panels to respond and show up on the display. That is normal. <S_OK>: This means that the inverter is connected to the monitoring platform. More on that in a second. ON: This is the easiest one. Your inverter is turned on! It simply would say “off” it wasn’t. The good news is, in order to track the performance of your solar system, you don’t need to constantly run outside to your inverter. The information is captured by a GSM antenna that transmits your system’s data to a cellular phone tower and thus is available to track via an app or internet connection. The good news is, POWERHOME Solar can track the same information, so if you believe you are experiencing problems, we can try to help diagnose the issue. Knowing a little more about the inversion process will help you explain the phenomenon of going solar to your neighbors. And you yourself learned more about it too. With POWERHOME Solar’s innovative solar program, homeowners can go solar for $0 up-front cost, save money on their electric bills, and generate their own clean energy. The solar panels installed on your home are American made and come with a 25-year warranty, with many panels expected to last well beyond that. 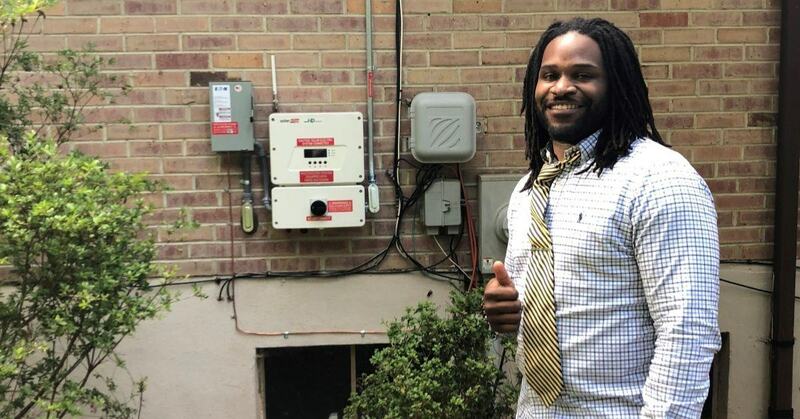 Please feel free to fill out our handy form below or contact POWERHOME at 800-765-2715, and one of our solar representatives will help you determine whether your home qualifies for this program.